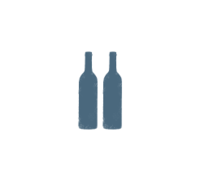 The shape and silhouette of wine bottles was no accident! The evolution of wine containers has always been closely linked with the art of tasting and the history and traditions of wine growing regions at the time. When you open a bottle from the second world war period, there's something about the act of doing so that takes us back to a world of myth and legend". Jean-Charles de Castelbajac, fashion designer. to discover the 9 names of Bordeaux Bottles? 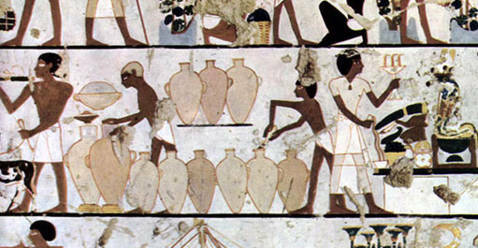 In the ancient world, wine was kept and transported in large earthenware jars called amphorae. A filled amphora was very heavy, making it difficult to pour the liquid out. It was in England that the first strong glass bottles were made in 1634, using powerful charcoal furnaces. These early bottles were made of black glass. This English diplomat invented the glass wine bottle, which began life with a body rather like a squashed ball for stability, and a relatively long neck for easy pouring. The shape of bottles has evolved since then to become more cylindrical for easier storage and transport. How many glasses in this bottle? After the metric system was introduced in 1792, a bottle of wine became a standard measure, and the 75 cl volume was set in 1866. The choice was clearly not a random one, since a case of 6 bottles (4.5 litres) is equivalent to the British imperial gallon. A 75 cl bottle will fill 6 wineglasses.  The bottle plays an essential role in preserving the taste and colour of wine, although the tannins in red wines give them a natural level of protection. Their containers are green, with some tending towards yellow or amber to provide perfect filtration of natural light. Clear bottles are used for white and rosé wines to reveal and highlight their subtle shades. Every region has its own format. The Bordelaise - the Bordeaux region - uses a straight-sided bottle with high shoulders, band, neck, shoulder, main body and base. 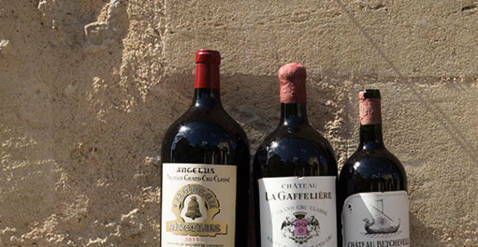 The majority of Bordeaux wine collectors prefer and cherish the larger formats, from Magnum to Imperial. 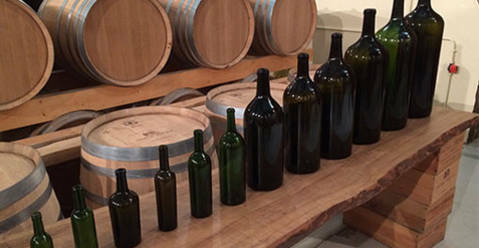 The reason is that these larger bottles contain less oxygen compared to the volume of liquid, resulting in a slower and more controlled ageing of the wine. 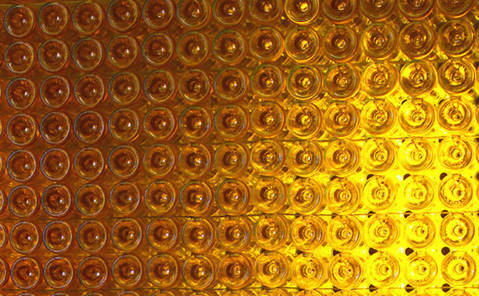 What if the most beautiful art object in the world of Bordeaux wine were the bottle itself? The question was posed by French art writer, publisher and historian Jacques Sargos. Bordeaux and its wine growing region is also committed to art. In 2012, 30 giant bottles designed by French and Chinese artists were shown at the Bordeaux fête le vin wine festival, in the Bordeaux Public Garden, and at the Wine and Dine Festival in Hong Kong. The artist Joffo decorated the giant bottle donated by wine merchants Millésima, while fashion designer Jean-Charles de Castelbajac designed a giant bottle entitled Fantôme de Bacchus (The Ghost of Bacchus).